People pass away all the time. Perhaps your father couldn’t walk you down the aisle because he died. 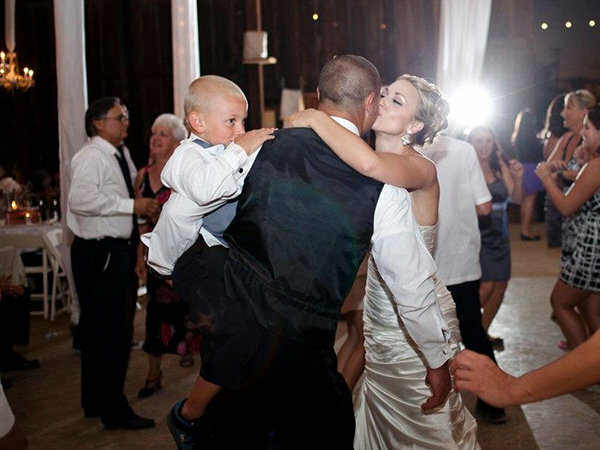 Perhaps your brother or sister couldn’t be in your wedding party due to an untimely passing. Perhaps your best friend won’t be able to make the wedding due to an accident. 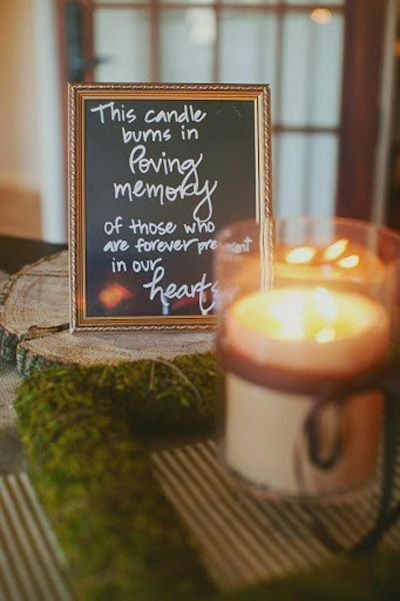 Either way, here are some frugal ways to honor a lost loved one during your ceremony or reception. Light a candle. 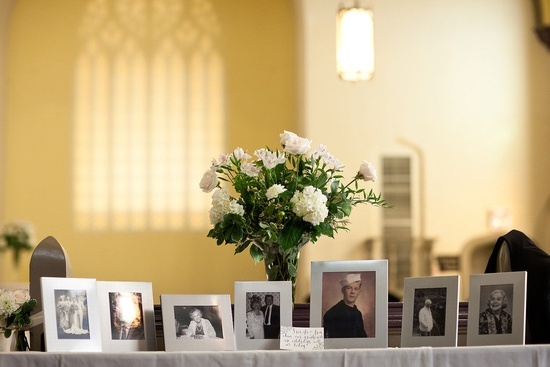 During the ceremony, if you are lighting a unity candle, you can also have a small candle next to the unity candle and light it after in honor of your departed loved one. You can also have a candle lit, or light one, at the reception somewhere set aside just for that purpose. You can also put the candle on the buffet table or cake table. Reserve a chair. 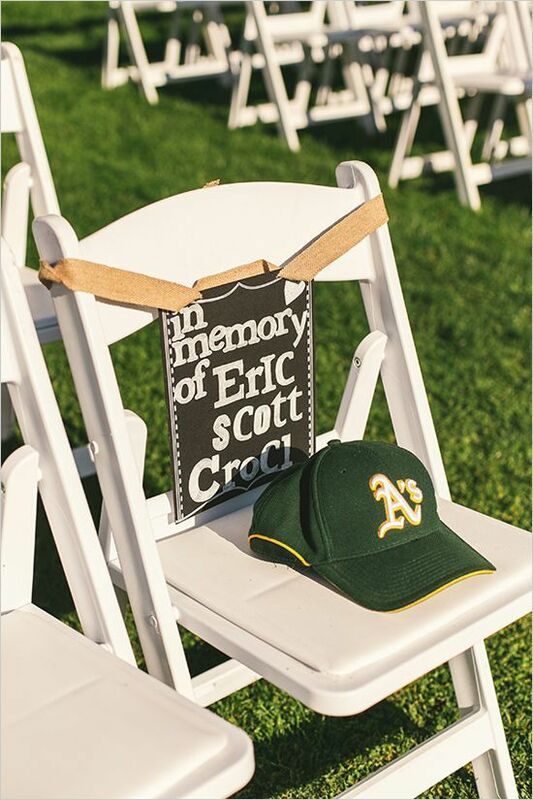 Put a photo of the departed guest in a chair where they would have sat, or a sign with their name, or something that belongs to them. Guests will respect the spot and leave it untouched. Are you a believer of spirits, souls or ghosts? Your loved ones will surely be present “in spirit”. Have a moment of silence. 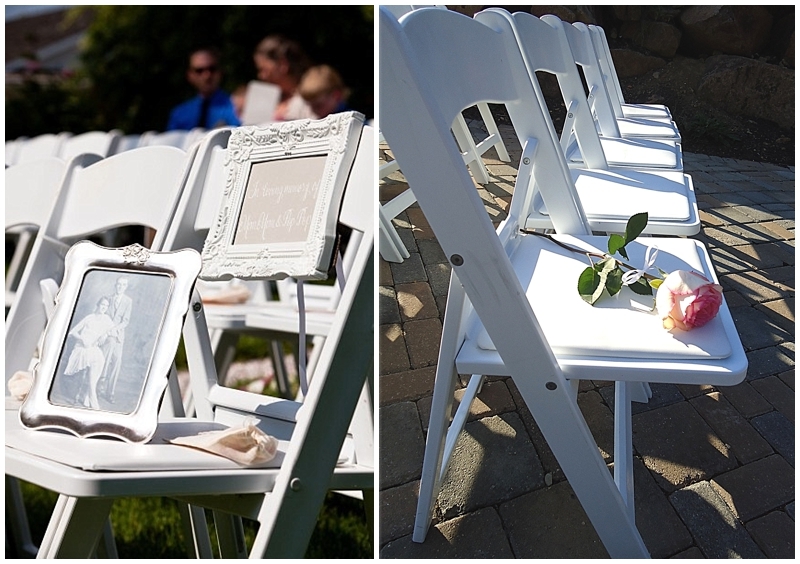 During the ceremony, you can always ask your officiant to include a moment of silence for your loved ones. The guests can bow their heads and think on the dearly departed. Dedicate a song to them. You can have a song play during the dancing part of the reception in memory of the dearly departed. The family members of these people can then dance in memory of them. Say a prayer. For those who are religious or spiritual, you can read a prayer in their memory. You can also have the officiant recite, “let us pray”, along with reciting a prayer picked out by the bridegroom in their memory. Got more ideas to share with us? Be sure to comment below this post and tell us all about it!